Cathay Pacific’s team of first class cabin stewardesses couldn’t believe that I was able to get my husband onboard this flight for a special 40th birthday vacation and he still didn’t know our final destination. We’d left Newark earlier in the day and headed for Toronto, where I used a small number of Starwood Preferred Guest points—earned by way of a nice credit card sign-up bonus—to spend a few hours at the Sheraton Gateway Hotel, the only hotel located right inside Pearson International Airport. We then boarded a long-haul, night flight to Hong Kong where we’d continue on to Denpasar, Bali in Indonesia. 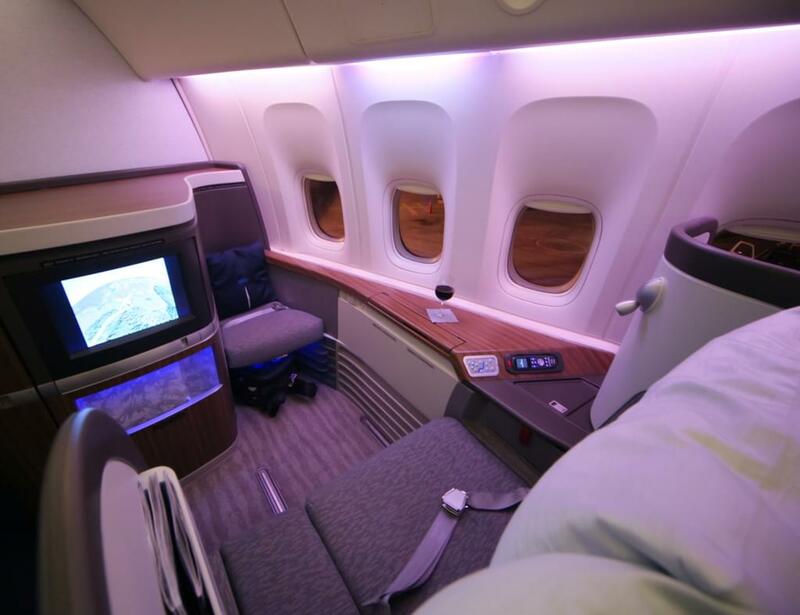 I was especially pleased that I’d been able to book first class pods on the Cathay Pacific flights by using my American Airlines AAdvantage miles. The first class cabin on the flight from Toronto to Hong Kong was limited to just six suite-like pods that are complete with a spacious seat that converts into a lie-flat bed, a personal entertainment system, a wall-mounted vase filled with live orchids, and even a guest chair so your traveling companion can enjoy a multi-course meal with you. The stewardesses made quite a fuss over us as they set out a linen tablecloth and silverware on our table. The champagne flowed freely and my husband commented that this was the most amazing trip he’d ever gone on—and we hadn’t even gotten to our destination yet! I felt so lucky to be able to give him this experience because of my knowledge of the miles and points game. 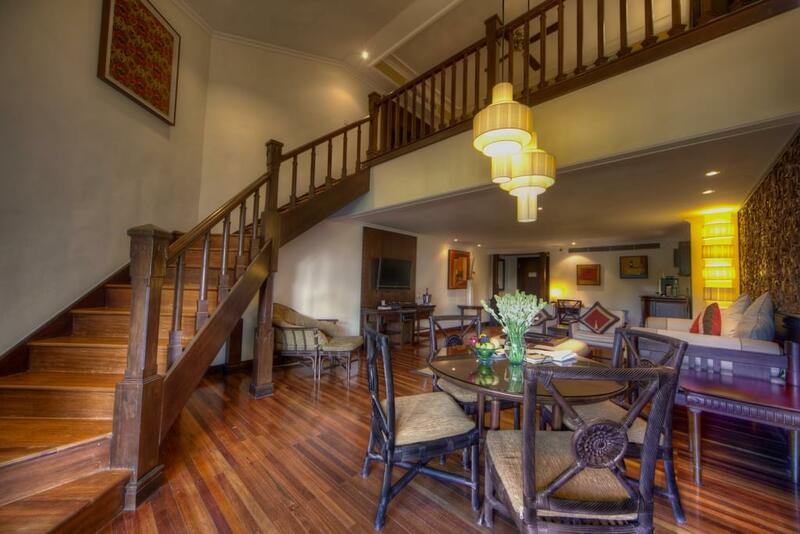 Once in Indonesia, we stayed at the InterContinental Bali Resort in Jimbaran Bay—where we were upgraded to a Club Duplex Suite. (It never hurts to contact the hotel manager in advance of your trip to let him or her know if you’re celebrating a special event during your vacation.) We enjoyed the gorgeous hotel grounds and the incredible pools as well as the beach. We also traveled extensively across the island to visit the Sacred Monkey Forest Sanctuary in Ubud and the Hindu temple Tanah Lot, and we even took a fantastic cooking class with sweeping views of lush rice terraces. 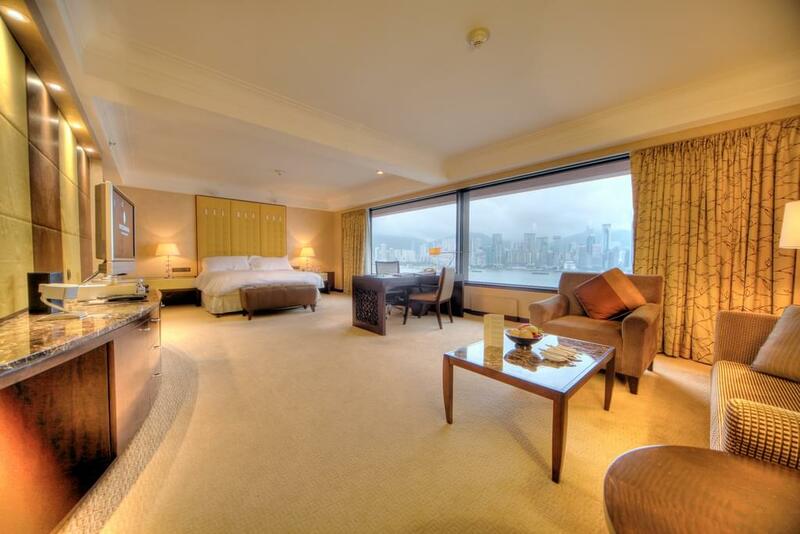 On the return trip we enjoyed an overnight stay at the InterContinental Hong Kong on Salisbury Road in an executive suite overlooking Kowloon’s waterfront, Victoria Harbour, and Hong Kong Island. I used miles and points to book the airline tickets and hotel rooms for this trip. Our only out of pocket expenses included the taxes and fees on the airline tickets, meals, and touring expenses (like the private guide we hired to properly introduce us to Bali). When I tell people that this exotic trip was practically free, they assume that I either fly constantly for business or I’m one of those crazy credit-card churners who are always signing up for new cards in exchange for hefty amounts of bonus miles. The truth is, I built up the miles and points slowly and steadily in small increments. For example, I really need to thank Coca-Cola for the free nights at the InterContinental hotels. MyCokeRewards is a program in which you save bottle caps and case cartons that have codes printed on them. You enter the codes at the program website and earn points that you can turn in for a variety of merchandise. One frequent redemption offer is Priority Club points and with those points you can book award nights at any InterContinental hotel or resort. I enlisted friends and family to help me save up enough bottle caps. My local deli owner was even kind enough to set aside caps for me so I could redeem the points for this special trip. When it came to booking airline tickets using my frequent flyer miles, I immediately reviewed the balance of my American Airlines AAdvantage account. American is part of the oneworld alliance so I could use my American miles to book free flights on any oneworld carrier. My AAdvantage balance is usually quite high since I fly American frequently, have a Citi AAdvantage credit card that earns miles for each purchase I make anywhere, shop via the AAdvantage eShopping online portal in order to earn bonus miles for everyday purchases, and I watch for special promotions to help bump up my account. While I was planning for this trip, the search engine Bing was running a promotion in which you played certain online word games to collect points that could be cashed in for frequent flyer miles on a variety of airlines, including American. I set aside time each day to play the games and earn those coveted miles. The airline had also run a promotion that offered bonus points on commuter flights between New York City and Boston. I leveraged that promotion to earn valuable miles while visiting my family in Boston over a series of weekends. It was win-win. If you watch for special bonus promotions, focus your credit card spending, and take advantage of programs like MyCokeRewards, you can slowly and steadily build up a frequent flyer account that will take you around the world. We loved our experience in Indonesia so much that we used more AAdvantage miles the following year to visit Borneo before heading to Singapore. I can’t wait to see where frequent flyer miles take us in the future!